Eddie Phiroz Bharucha, though born into privilege, was in many ways a self-made man. His mother, Bachha came from a prominent business family in Karachi. His father, Phiroz C. Bharucha (1882-1952), was an eminent physician in Bombay (now Mumbai) who was consulted by M.K. Gandhi and Mohammed Ali Jinnah. P.C. Bharucha was part of the group of highly qualified Indian physicians who vigorously pushed their claim for academic positions in Grant Medical College on par with the British members of the Indian Medical Service. Their efforts for justice resulted in the formation of a medical college, which facilitated academic advancement of Indian doctors as a matter of policy. After Eddie’s mother died when he was 2, his bereaved father immersed himself in his work and left Eddie to be brought up largely by an English governess, with occasional inputs from his mother’s family. Eddie completed his MBBS and MD in both Bombay and London. He was appointed Honorary Physician in Medicine at the King Edward Memorial and Seth G S Medical College (KEM) Hospital in 1945. Between 1949 and 1952, he trained in neurology at the Hospital for Nervous Diseases, Queen Square and the Maida Vale Hospital for Nervous Diseases in London. He then proceeded to the United States where he worked for three months each under Dr. Houston Merritt at Columbia University and under Dr. Denny Brown at Boston City Hospital. He returned to India in 1952 and became the first neurophysician to establish a department of neurology in India, with 12 beds at the KEM Hospital in January 1953. By the time he retired, as emeritus professor in 1974, the KEM Hospital had all of the core elements of the clinical neurosciences, including large epilepsy and neurology outpatient clinics which drew and still draws a large number of patients from all over the country, as well as neuropathology, electroencephalography and electromyography. The department of neurology had now established a reputation nationally and internationally for excellence in patient care, teaching, and academic endeavors. Dr. Bharucha later joined the Bombay Hospital, a large private hospital which also has a strong sense of social responsibility, and which subsequently became a teaching hospital. Together with his wife, the late Dr. Piloo Bharucha, he promoted and practiced multidisciplinary care in pediatric neurology long before this became entrenched in more developed economies. From the mid 1950s onward for many years, the couple ran clinics for neurological and pediatric assessment of children with poliomyelitis and cerebral palsy at what was formerly the Children’s Orthopedic Hospital. He also played a pivotal role in establishing the Spastics Society of India (now ADAPT, or Able Disabled All People Together). Positions held domestically included co-founder of the Indian Epilepsy Association, membership of the Neurological Society of India (he was president in 1961), the council of National Academy of Medical Sciences, inspector of the Medical Council of India, examiner for the DM (Doctor of Medicine) and DNB (Diplomate of National Board) exams throughout India, Honorary Lieutenant Colonel in the Armed Forces and physician to the Reserve Bank of India. He received the Dhanvantari Award in 1991 for his outstanding contributions to medical sciences, in particular in the field of neurology. Overseas, he was the president of the World Congress of Neurology (1989), vice president of the World Federation of Neurology (1969-1973), honorary member of the Association of British Neurologists, special member of the International Cerebral Palsy Society, and honorary member of the American Neurological Association. His research and publications pertained to stroke, neurological infections (tuberculous meningitis, postconjunctival myeloradiculopathy), nutritional disorders (especially the relationship between vitamin B, malnutrition, and chronic alcoholism), toxic disorders (lathyrism and mass screening of those exposed to toxic gas in Bhopal within a week of the tragedy), congenital abnormalities (atlantoaxial dislocation), and epilepsy and epidemiology of neurological diseases in the Parsi community. He was on the editorial advisory board of the Handbook of Clinical Neurology (eds., P.Vinken & G.Bruyn, 1973 onward). 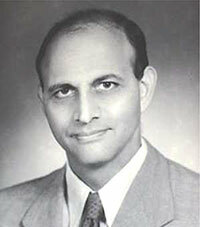 Dr. Bharucha was a consummate physician who relied on clinical assessment rather than imaging studies. Notwithstanding his academic achievements and his work to advance the practice of neurosciences, his primary concern always remained the best interests of his patients. This, combined with his deep empathy (particularly toward the underprivileged) and an ingrained sense of social responsibility, led to his involvement in several projects aimed at alleviating the stigma and distress suffered by those with neurological disorders. One example of this was the 12-year campaign that he led which ultimately led to the repeal of a law that deemed people with epilepsy to be insane. Another was his importing (at his own expense) of an early EEG machine for the KEM Hospital, part by part. He also imported (again at personal expense) medicines for patients that were not available in India at that time, such as d-penicillamine for a patient with Wilson’s disease. Finally, his contributions during the riots of Partition, in 1947, should be mentioned. He was among a group of doctors from the KEM Hospital that went to Lahore, where they provided medical relief. Using the Sir Gangaram Hospital as a base, they visited various refugee camps, escorted by troops from the Gurkha regiment. The trip was organized by Lady Edwina Mountbatten and Dr. Jiwraj Mehta. He was a man who, by virtue of character and example, came to fulfill many roles for many people – clinician, teacher, mentor, friend, husband, father, and grandfather. Piloo and he had three sons – Nadir, Manek-Phiroz, and Adil, eight granddaughters and two great-grandchildren. 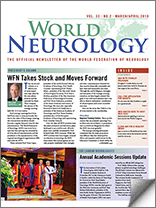 In 2004, his students, friends, and family created the Eddie and Piloo Bharucha Fund at the World Neurology Foundation to support a perennial named lectureship at the World Congresses of Neurology. His ethos enveloped the departments he worked in, including other professionals, patients, students, and hospital staff. For the last 20 years of his life, he was virtually blind. In anticipation of his loss of vision, he read several journals of neurology onto a dictaphone, which he was to listen to in solitude after he could no longer see. Ultimately, his hearing was also severely impaired. Nonetheless, he retained his sense of equanimity, never complained, and was always happy to see family and visitors. His greatest legacy (both in the profession and for his family) will be his personal qualities. He did not seek positions of power or prestige, was unconcerned about material remuneration, and perennially radiated good cheer, kindness, and caring. We mourn his passing but know he remains very much alive in the hearts and minds of all those he touched.